Keeping your kitchen in the best shape is not that hard. You only have to remember that it is a place of heavy traffic and that it needs cleaning and tidying up every day. You can even entertain guests in the kitchen while you prepare them dinner. The kitchen is where we spend a lot of time, so it is just right to make it feel cozy and comfortable for everybody in the household and your guests. If you are looking for a beautiful counter-top to add to your kitchen, then pick a quartz worktop. London fabricators will cut a slab of quartz to your specifications. A worktop with a nice design adds to the coziness of the room. Chairs should also be comfortable to sit on so you can have great conversations without feeling a little numb from sitting. 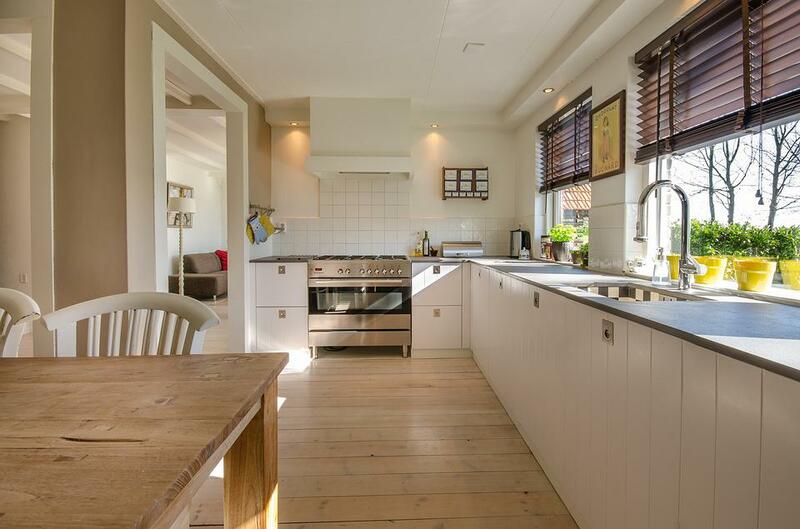 The kitchen should create an overall feel of homeyness with your design. You can place potted plants by the window, and frames of family photos on a shelf or the walls to give the kitchen a lived-in vibe. But you should put them in strategic places so that they do not interfere with your cooking and other chores. Place them in areas that will not impede your movement. Keep it clean Your kitchen should be the most spotless area in the entire house. It is where you handle your food, so keeping it clean is a must. Wipe down dirt, dust and grime on fixtures such as the oven, stove, fridge and counter-top. Do not let any spills settle on the surface, as they may create stains and marks that may be hard to remove. The easiest way to find things in the kitchen is to assign a place for every single item. Did you get the knife from the knife block? Then put it back there after washing it and not in the spoon drawer. Simple things like returning things where they belong add to the overall look of the kitchen. We usually keep cleaning implements in the kitchen. The cabinets under the sink are their usual place. Never place a non-food item where you keep your food items, not only to prevent contamination but to ensure that you do not use them accidentally or spill them into the pot of stew you are cooking. Keep your kids aware of them too, so they do not handle them in any circumstances. The best thing you can do keep your kitchen immaculate is to declutter. Toss out things that you do not use and need anymore. They only create an eyesore, and they take up valuable space in your kitchen cupboards and cabinets. Containers with no lids? Toss them. Glasses with cracks? Toss them. Old plates and bowls? Toss them. Make room for the most important ones and reserve some space for new kitchen items in the future. Allot an hour or two for these tasks, and you will be surprised to see how much decluttering can do wonders in your kitchen.